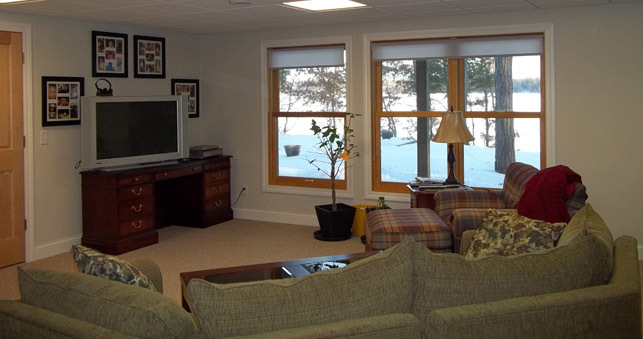 Let us help you with your living room remodeling. 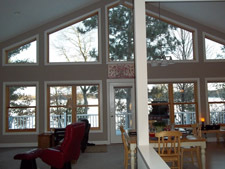 We can custom design your living room, family room, or great room. A beautiful bank of windows can take in the beautiful northwoods outdoors, let you bask in sunshine during our long winters, and provide lots of ventilation in summer. 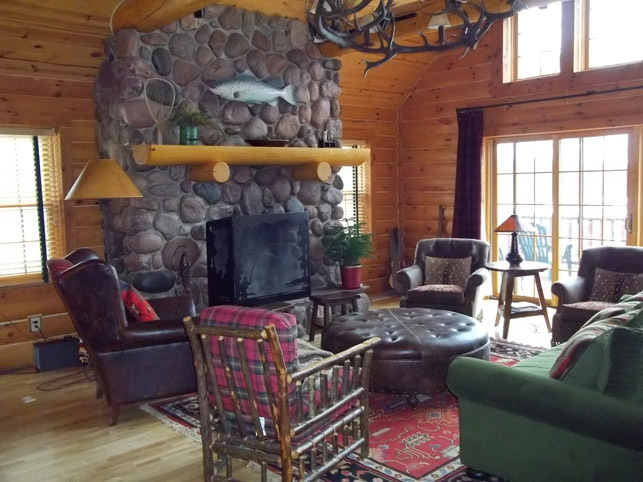 You can bring the northwoods inside, with a more rustic cabin look. Logs, log siding, tongue n groove pine, and large stone fireplaces, all provide the backdrop for a sophisticated northwoods cabin look. Built-in cabinetry can be designed to house your television, audio equipment, books, and more. 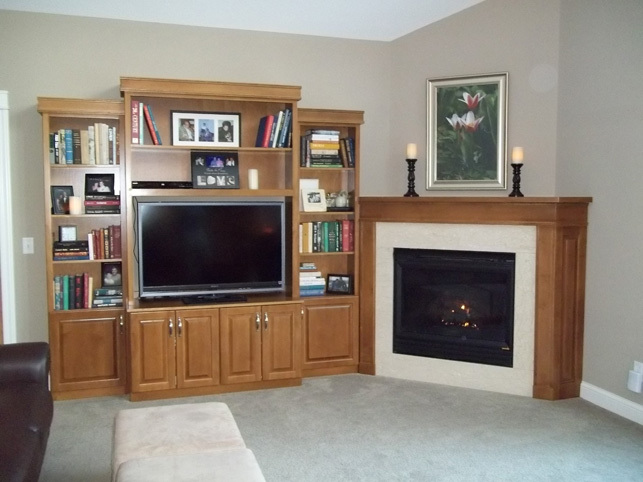 Gas or wood fireplaces can be incorporated to match your style. Walkout lower level family rooms provide a great place to walk in from the lake, a cool spot to hang out in summer, and extra sleeping space when your extended family comes to stay. Located in northwestern Wisconsin, serving Gordon, Solon Springs, Minong, Trego, Spooner, Shell Lake, Hayward, and surrounding communities.